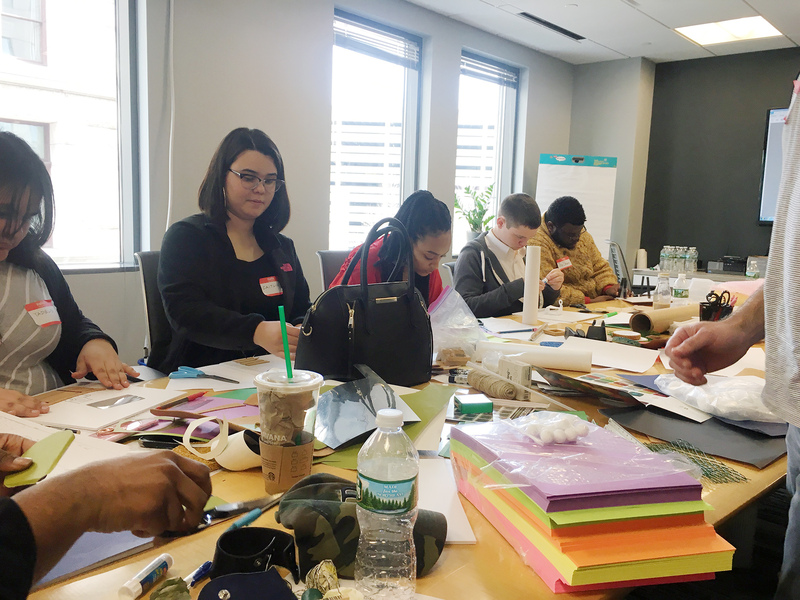 On Friday, March 23rd, we hosted a group of Boston Public High School students as part of the BSA’s Design Thinking Day. 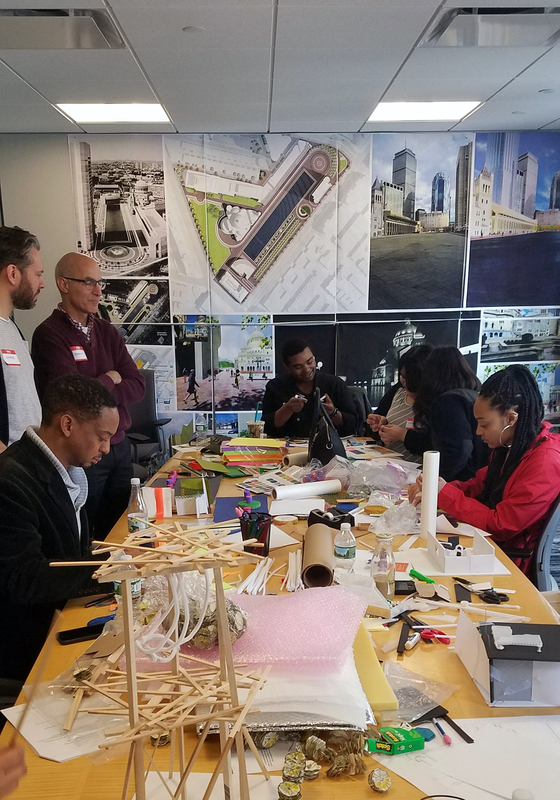 The goal was to provide the students with an introduction to landscape architecture as a profession, exposure to the design process, an understanding of the options available to them in this creative and technical profession, and the available educational opportunities. The morning began with an icebreaker activity to get the creative juices flowing. 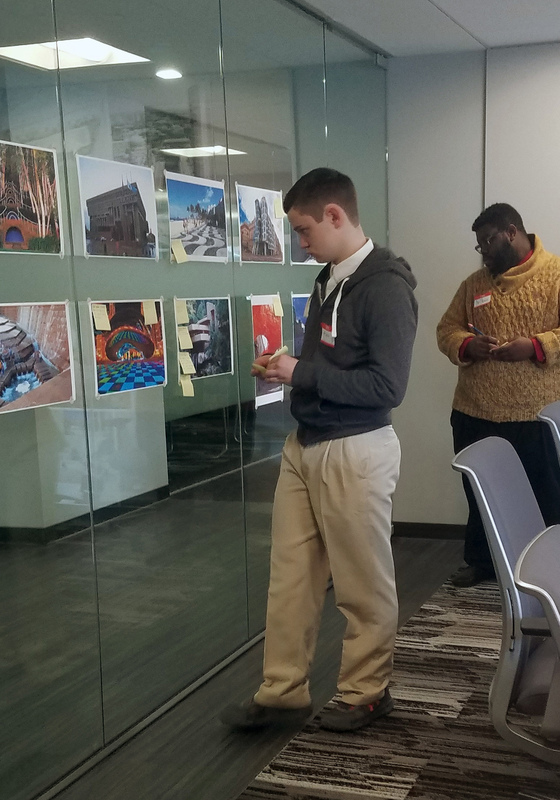 Each student was asked to look over a series of architectural photos and write down one word for each that describes how the image made them feel. 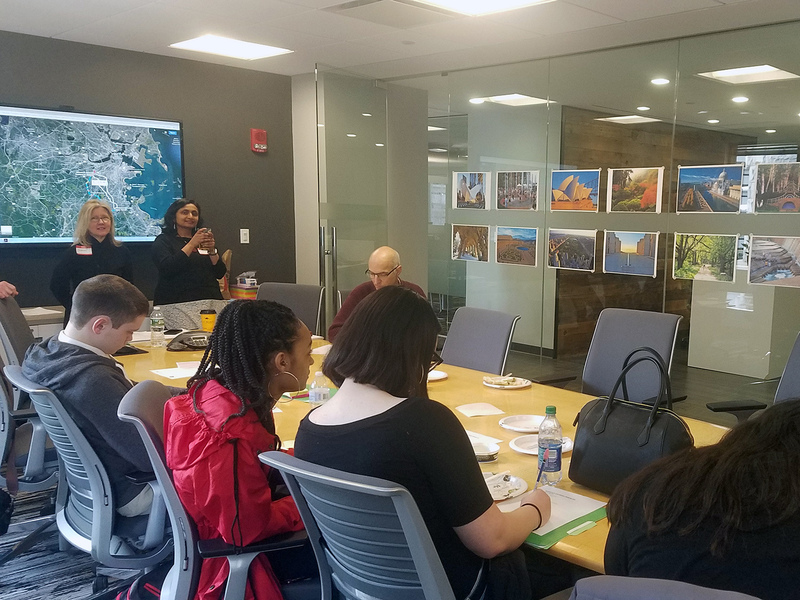 A handful of CRJA-IBI Group team members then discussed their path to finding landscape architecture and their reason for pursuing it as a career. 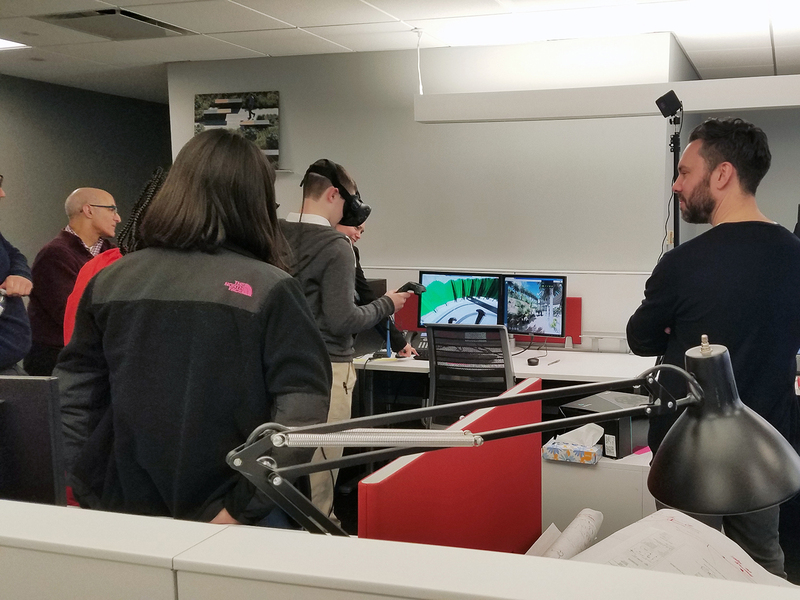 This was followed by an office tour and a closer look at our current projects, some in early conceptual stages and some nearing completion. 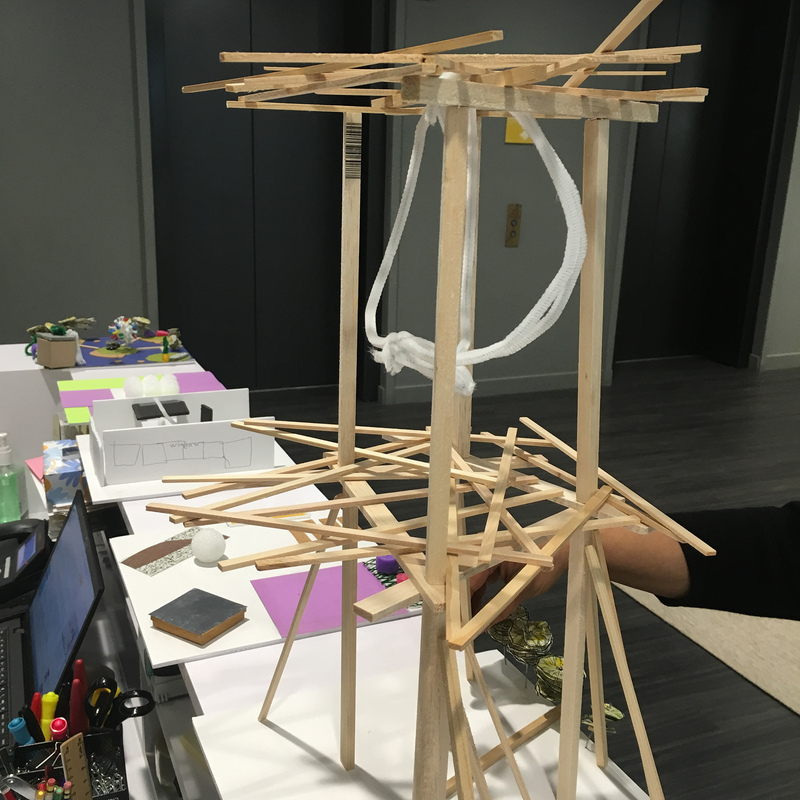 The highlight of the day was the Engagement Activity – Personal Learning Space Challenge. 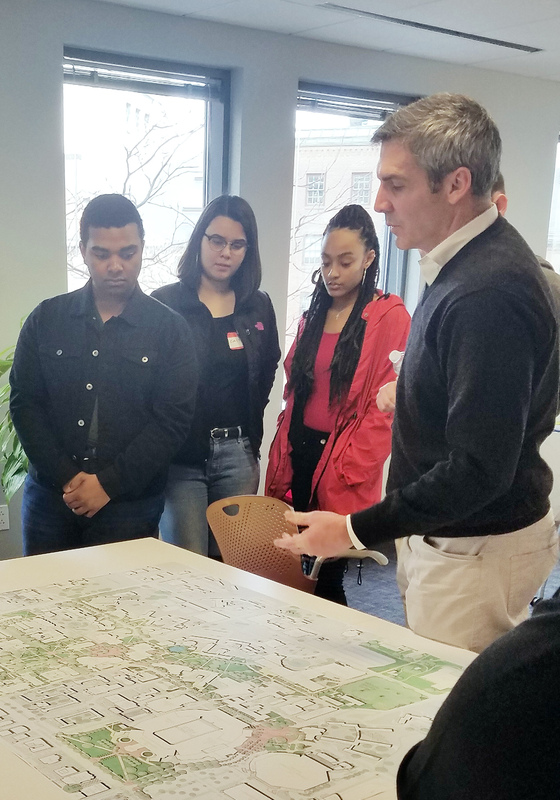 The students participated in a mini design charrette to understand how landscape architects work through a design problem and brainstorm ideas. 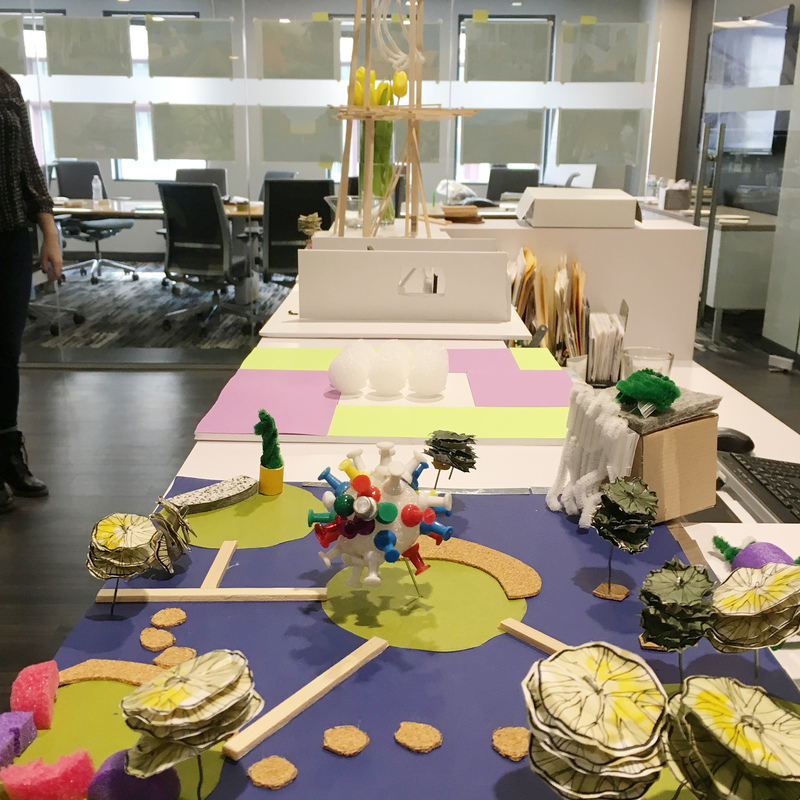 Using simple materials, they programmed and designed a learning space for themselves and then presented their projects to the group. 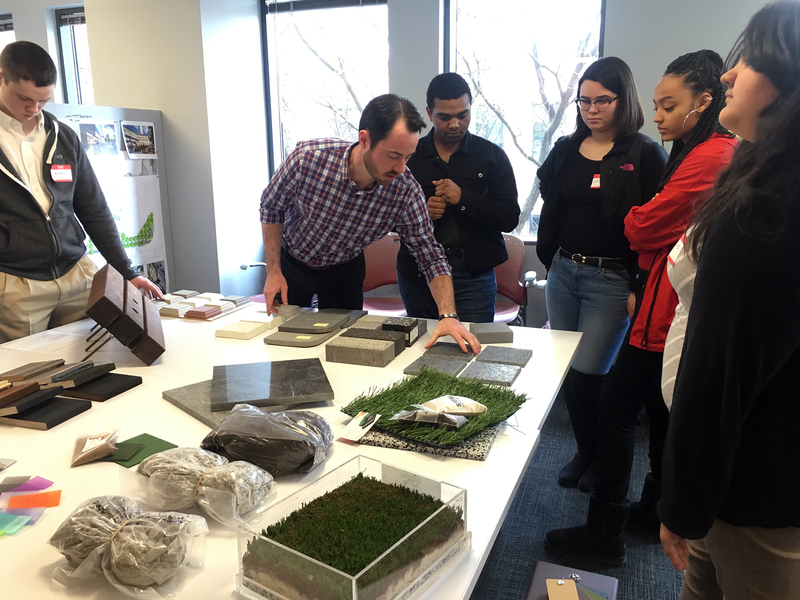 It was a wonderful and fulfilling day for all, immersing students in our world of landscape architecture.